It’s still snowing in the mountains and there is no heatwave in sight for Seattle. But it’s actually a great time to consider adding air conditioning to your home. Fox’s HVAC team explains why, and how you will save by doing it now. Okay Seattle-ites, gone are the days when you can say, “It doesn’t get that hot in summer around here, I don’t need any air conditioning”. The last decade has been a scorcher and there’s no indication of global “cooling” to mitigate that. So, have you been dragging bulky, loud, drippy, room air conditioners into the windows in order to keep cool in the summer? Or even worse, a big bulky swamp cooler? What a hassle. Good quality single room air conditioners cost hundreds of dollars. The portable ones have to be drained and cleaned, can leak on the floor and really only work well for a few years. And they are commonly known for being very loud as well. All that to cool one room. There are better solutions, and our customers tell us they are so glad they decided to get air conditioning. If you are considering getting air conditioning now, you might benefit from a heat pump system. Why now? Because heat pumps provide the most energy efficient heating and cooling, and you can still capture some energy savings on the heating side until the summer comes. In addition, utility rebates are available for heat pump installations (restrictions apply, ask your Fox HVAC Specialist or see your utility for details). 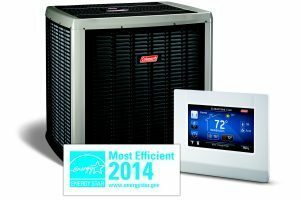 Puget Sound Energy is offering up to $1,200.00 off until April and then $800. And if you’re with Seattle City Light then you can save $800. 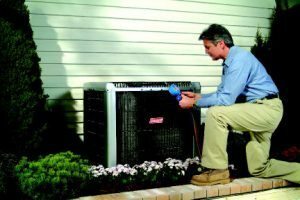 Our HVAC Specialists have a variety of products for all different cooling scenarios that pair well with your current method of heating. Replace or add a ductless heat pump system for whole home heating and cooling. Saves 25-50% on heating costs and the air conditioning is a bonus. These systems are super quiet and allow you to control your comfort separately in each area of the home. Ideal for houses and condos. Consider adding an air source heat pump to your ducted heating system. This heat pump will lower your energy bills in winter, and provide air conditioning for the whole house in summer. Optimal A/C may require adding cold air returns in the upstairs of the home. Ideal for single family homes or townhouses with a patio or yard. Adding a single ductless heat pump unit can provide quiet, energy efficient cooling to 800-1000 sq. ft of your home, plus supplemental heating in winter. Great for any type of residence. Whether you choose a ductless or ducted (air source) heat pump, you will be saving energy, lowering your heating costs, plus adding energy efficient air conditioning to your home. Are you ready for a cooler summer? Talk to Fox’s HVAC team today to learn more about our great selection of top quality products and professional installation.